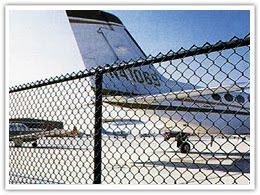 NORDO News - Aviation Unedited: Who Got Through The Fence? Who Got Through The Fence? Recently the FAA produced its new airport regulatory guidelines. Included in these were some new rules forbidding through the fence operations. By now I’m sure you’ve all heard about this and have likely found yourself, at one point or another, scratching your head at these anti-aviation rules that could only come from folks out of touch with flying. This is a disaster that could only come from the FAA. Thankfully more pilots are becoming active and attempting to speak up about issues such as this. What I fear though, as usual, is that many of those speaking up are simply doing so to the choir. A month or so back it seemed nearly every email I received had something to do with this issue. Amazingly most of these included some expression of surprise. But, if like me, you had watched with great concern the construction of airport boards in this country during the past twenty years, you would not have been surprised by this at all. Therefore upon receipt of most of these messages, having long pushed for privatization of airports, activism from local pilots, and accountability from our aviation alphabet groups, I could only shrug my shoulders. Then came the days after these new rules were revealed and the reaction from our friendly lobbyists was received. Fortunately for me, I’ve grown numb to their failures. Yeah that’s right, as you all know by now, AOPA and EAA admitted to being blindsided by these rules. I’m even pretty sure that one of the groups said in a memo to members that essentially they had no idea of what was coming down the pipe and were completely surprised by them. At home, members read it and then went back to their bitching and moaning about the FEDS. This I cannot handle. By definition, AOPA is a lobby group for aviation and their job is to know these things. By admitting they knew nothing of it, they claimed ownership of two things; one that this was a complete failure on their part, and two, we have been paying money to people who are simply not doing the job. How many of you remember when you were told AOPA had hired a Washington insider as its new leader? Do you remember that among other things, this decision was said to give the group better connections to the inner workings of the hell hole known as D.C. What happened??? And as for EAA, if you are a member and you haven’t figured out the joke that’s known as EAA Government Affairs, then, well let's just say don't believe everything you read in Sport Aviation. How about this? Whenever you hear one of our groups talk about Government Affairs, think of it in a literal sense; they are sleeping with the FEDS instead of us? Now lets talk about the people who are actually making things happen. Through the Fence is a group dedicated to preserving the sanity and logic of through the fence operations. As always, it is scrappy little groups like this that do the real work while people renew, without thought, their memberships to other groups which repeatedly fail to do theirs. The piece above was written months ago and we had almost decided not to include it but then today we received a wonderful email. Apparently, throughthefence.org has generated enough heat to get bills introduced in the House and Senate (by Republicans) that would correct the through the fence issues. Although it is sad the FAA is so inept and conniving it would try to restrict such an obviously great thing, Brent Blue's scrappy organization, with the help of pilots like you, is closing in on a fix. Please go to their website, http://www.throughthefence.org/ to see what you can do to help push this through. A glitch in our get-up - SORRY! We are good for another year!